Recycling turns materials that would otherwise become waste into valuable resources. Collecting used bottles, cans, and newspapers and taking them to the curb or to a collection facility is just the first in a series of steps that generates a host of financial, environmental, and social returns. Some of these benefits accrue locally as well as globally. Recycling protects and expands US manufacturing jobs and increases US competitiveness. Recycling reduces the need for landfilling and incineration. 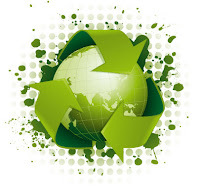 Recycling prevents pollution caused by the manufacturing of products from virgin materials. Recycling decreases emissions of greenhouse gases that contribute to global climate change. Recycling conserves natural resources such as timber, water, and minerals. Recycling helps sustain the environment for future generations. Recycling includes collecting recyclable materials that would otherwise be considered waste, sorting and processing recyclables into raw materials such as fibers, manufacturing raw materials into new products, and purchasing recycled products. Collecting and processing secondary materials, manufacturing recycled-content products, and then buying recycled products creates a circle or loop that ensures the overall success and value of recycling. Collecting recyclables varies from community to community, but there are four primary methods: curbside, drop-off centers, buy-back centers, and deposit/refund programs. Regardless of the method used to collect the recyclables, the next leg of their journey is usually the same. Recyclables are sent to a materials recovery facility to be sorted and prepared into marketable commodities for manufacturing. Recyclables are bought and sold just like any other commodity, and prices for the materials change and fluctuate with the market. Once cleaned and separated, the recyclables are ready to undergo the second part of the recycling loop. More and more of today’s products are being manufactured with total or partial recycled content. Common household items that contain recycled materials include newspapers and paper towels; aluminum, plastic, and glass soft drink containers; steel cans; and plastic laundry detergent bottles. Recycled materials also are used in innovative applications such as recovered glass in roadway asphalt (glassphalt) or recovered plastic in carpeting, park benches, and pedestrian bridges. Purchasing recycled products completes the recycling loop. By “buying recycled,” governments, as well as businesses and individual consumers, each play an important role in making the recycling process a success. As consumers demand more environmentally sound products, manufacturers will continue to meet that demand by producing high-quality recycled products. Learn more about recycling terminology and to find tips on identifying recycled products.